When thinking about packaging for cosmetics and perfumes, we typically imagine bottles, cream jars, caps and cartons. 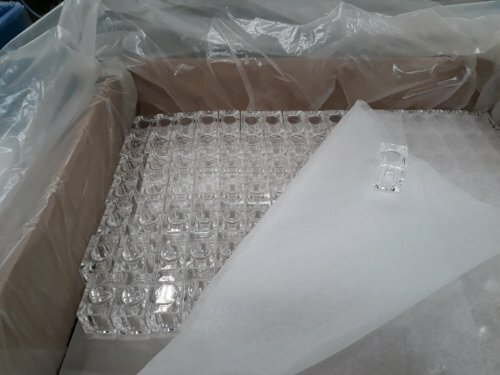 While they constitute important protective elements for the contents, the protection of the packaging is just as important during the process of manufacturing, storage and transport. Defects resulting from improper product protection may result in scratches, cracks and chips. In turn, this may translate into a less effective protection of the valuable substances. For 20 years, Politech has been developing a whole system for the protection its products. 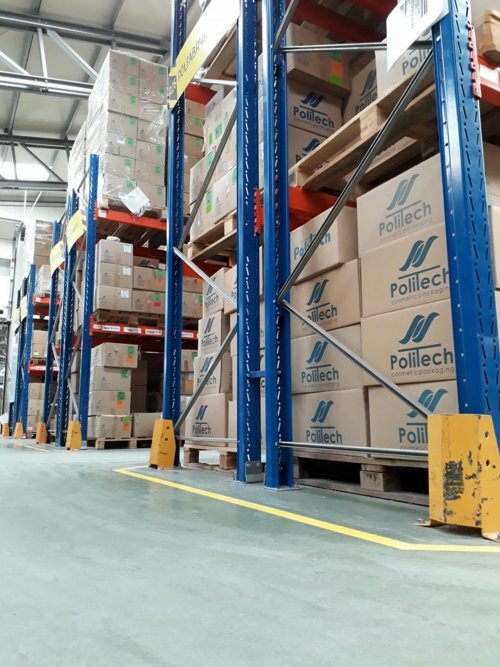 From the moment they leave the injection moulds, through the assembly of all the elements, placing and securing in the cartons, preparation of the pallets, wrapping with stretch film, storage and preparation for transport, Politech makes every effort to ensure that the products are not damaged. 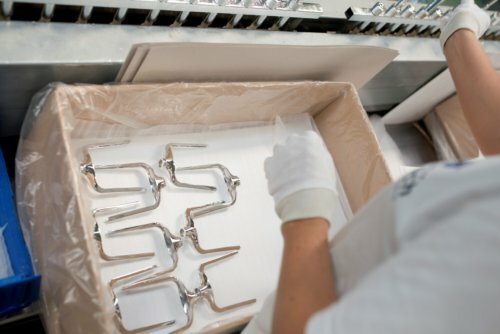 The first stage of protecting the products takes place after the injection mould is opened. After cooling, the products are received by an employee, who places them in high quality cartons lined with film and fleece. Naturally, the products are also subject to quality control, and the method in which they are later packed is also verified. Some products are placed tightly next to each other, with each layer separated by a thick layer of soft fleece. The correct distribution of products in the carton protects them from moving, and the material that separates the layers protects the elements from mutual scratches. If needed, some products are laid directly on special trays that protect each layer and keep the products in place. 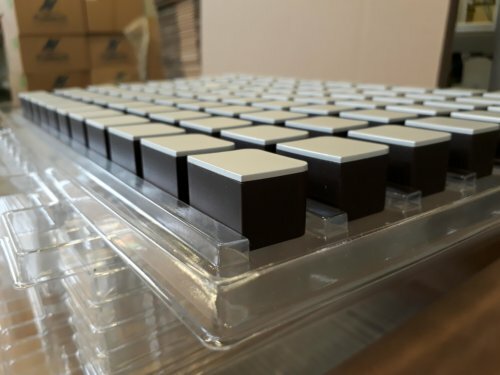 Moreover, the trays facilitate the subsequent removal of the products, without the need to touch the individual products. However, some elements are not packed immediately, but are directed to the assembly line. There they are carefully combined and packed, the methods chosen depending on the number of elements in the finished product. The properly secured cartons lined with the inspected pieces are closed and thoroughly sealed with durable adhesive tape. Next they are placed on pallets. The cartons are also provided with the correct labels and bar codes, facilitating their segregation, storage and transport. An increasing number of production processes at Politech are being automated. 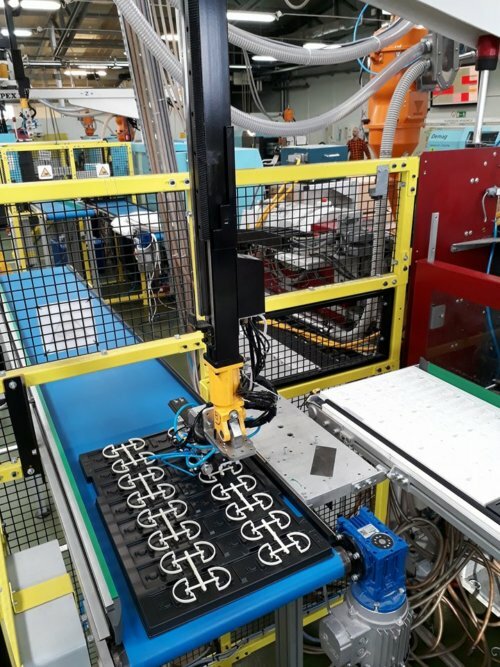 Robots precisely remove the finished elements from the injection moulds and place them on the trays. Next the belt feeds the full trays for packing in previously secured cartons. 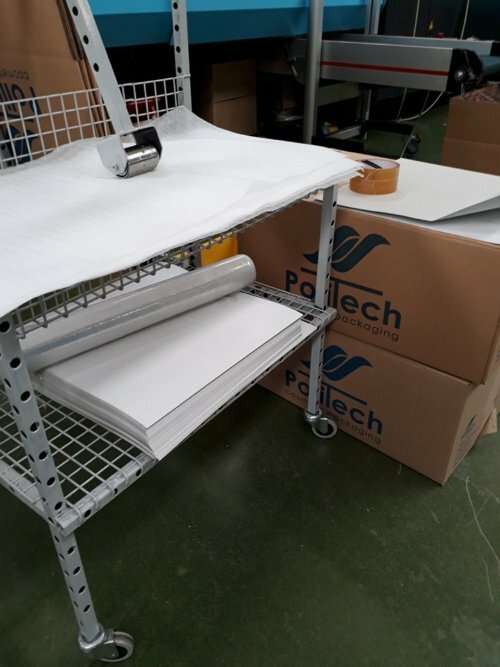 Cartons on pallets are transported to the warehouse, where they are subject to additional protection with stretch film and then placed in the correct warehouse section. Those goods with multiple levels of protection spend the final stage of their stay at Politech during the transfer from the warehouse to the delivery vehicle. The transport of goods takes place using specialized equipment operated by qualified employees, observing strict safety standards. Politech takes care of the semi-finished products and finished products in an organized and cautious manner. We are aware of our responsibilities and the trust that our business partners invest in us. This is why we strive to provide our products with the highest possible level of protection.